In honor of its 75th anniversary, Crossway has introduced the Omega Thin-line Reference Bible. 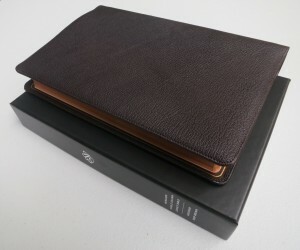 Adapted from the Large Print Thin-line Reference Bible, this limited edition is made from the finest materials. 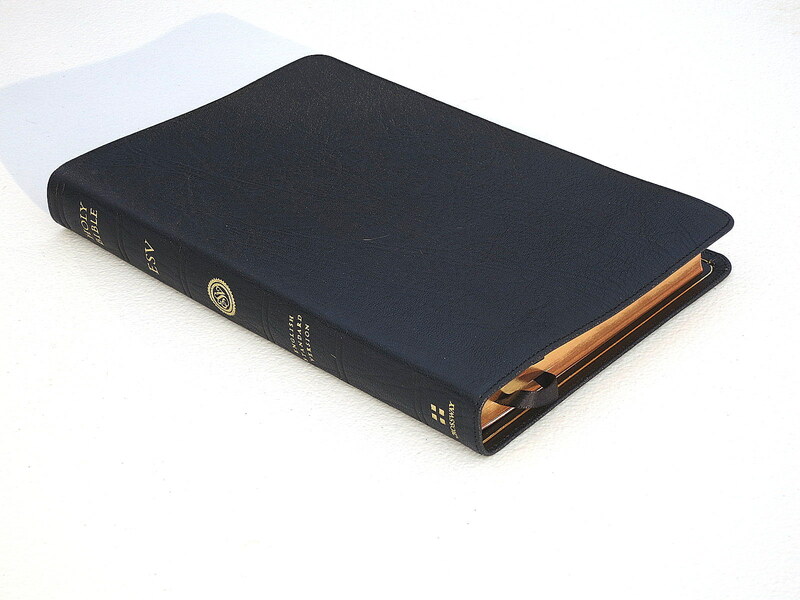 It features a goatskin cover lined to the edge with generous overhang to protect page edges, high-quality Bible paper, art gilding, and four ribbons. In addition, the Bible comes handsomely packaged in a two-piece box. 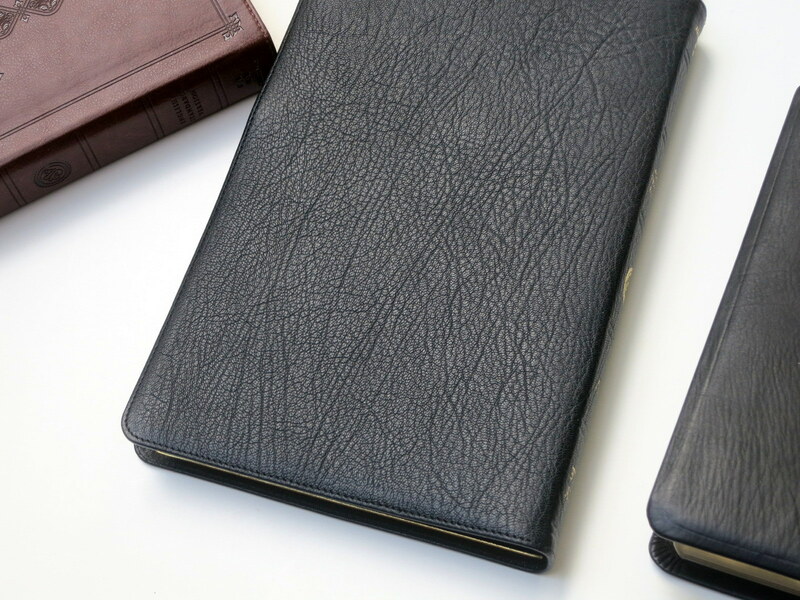 Elegant and useful for a variety of purposes, the Omega Thin-line Reference Bible is a beautiful edition that will last a lifetime. Black letter text – PDF of the interior. The Omega Thinline is a Bible that has come to us a bit under the radar, but one which deserves in every way to be at the top of anyone’s Bible list. 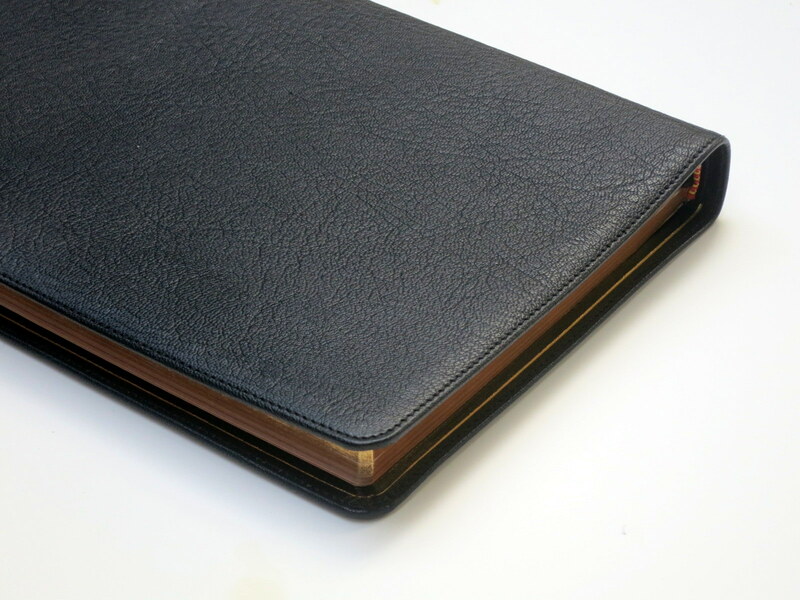 Every part of this Bible has been designed and manufactured with quality and precision in mind. 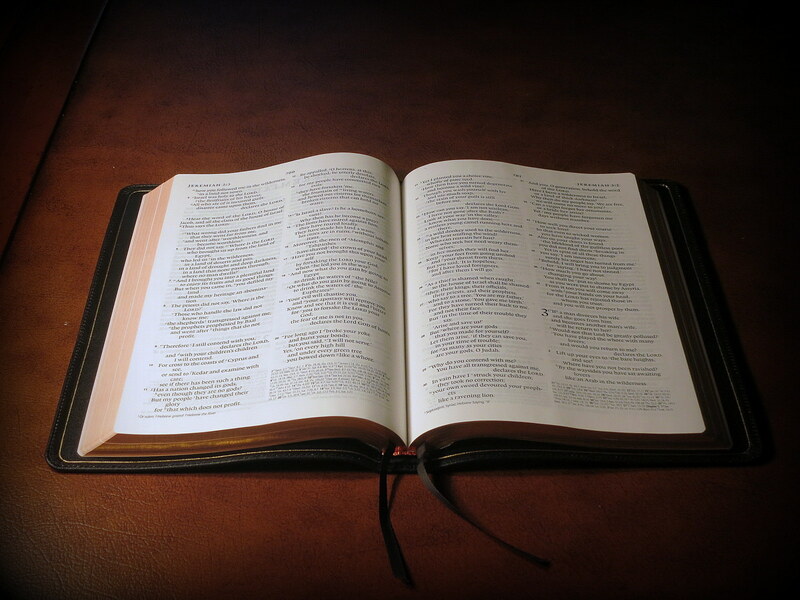 Keep in mind that this Bible is a Dutch production from start to finish. It was printed and bound in the Netherlands. In its design stage it was a joint venture between Schuyler and Crossway. Legibility: Our photos and reviews speak for themselves. This is a highly legible and comfortable typesetting. Binding: Of course the Omega has a sewn binding. 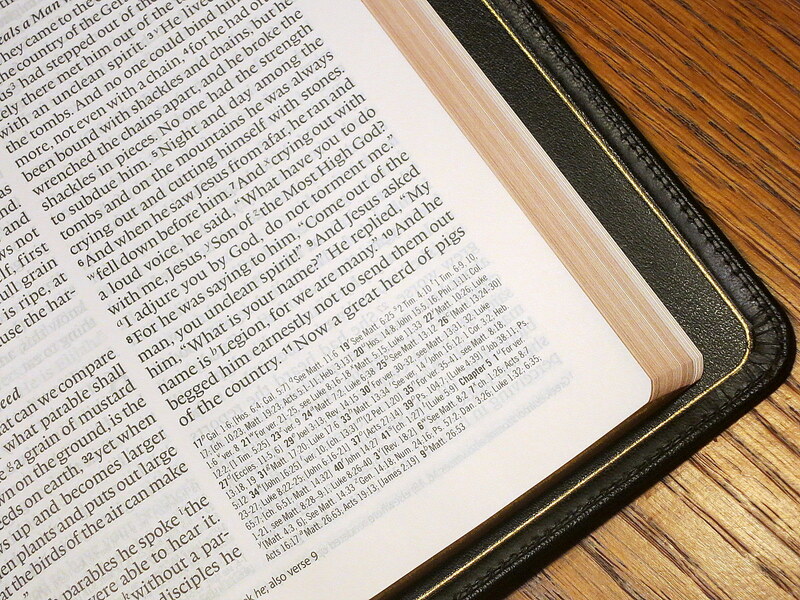 This Bibles lies flat right out of the box – a distinction of superior binding. 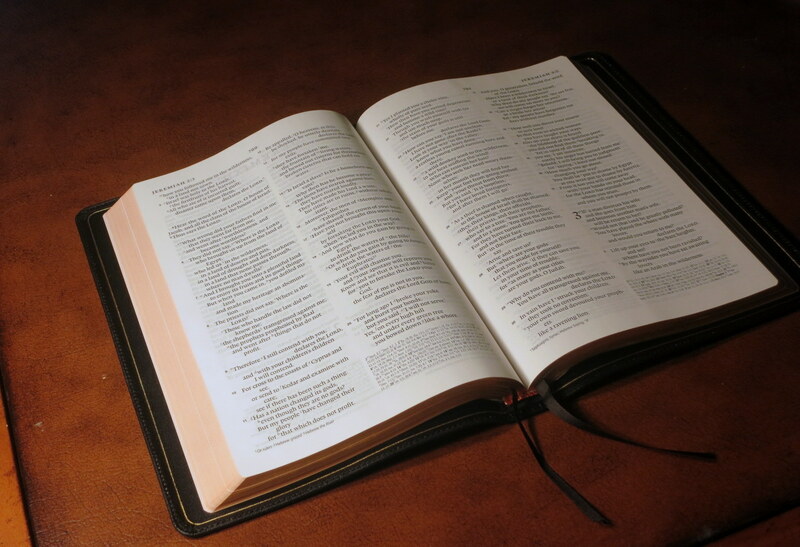 Class: This Bible falls into the Classic Reference Thin-line Class. 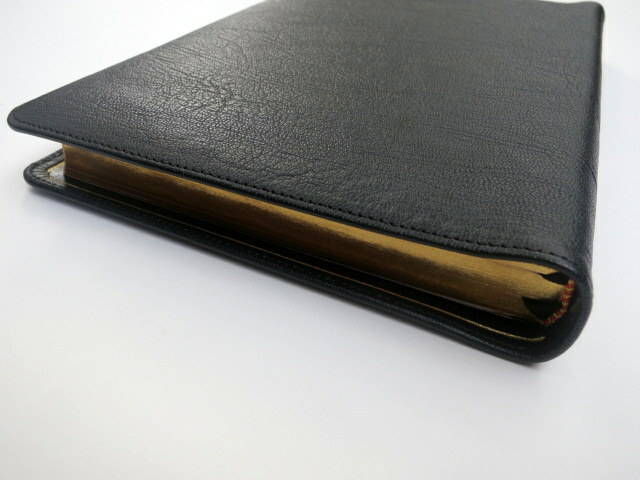 It is a classic reference thin-line Bible. What is great about this design is that though it is a thin-line, it has very little ghosting because of the line matching technique which mitigates the see through effect. 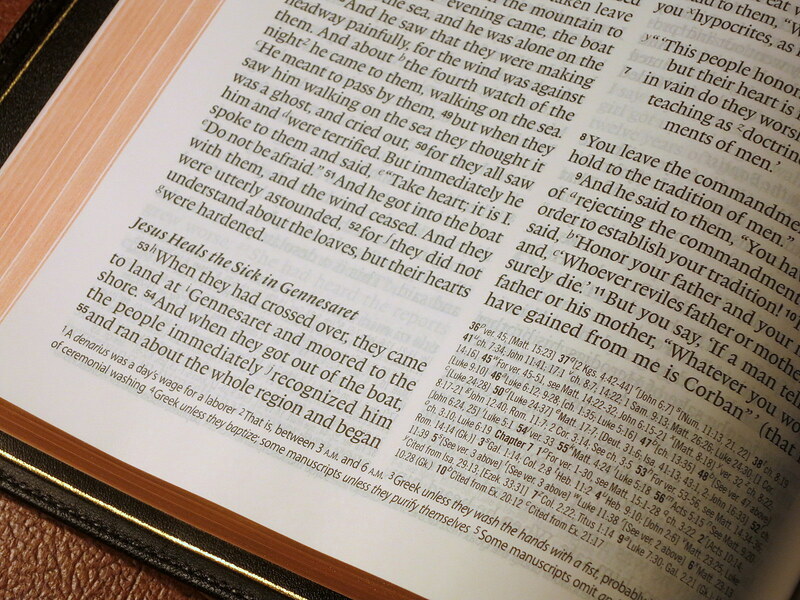 It is a Bible designed to be easily transported-and as we have previously mentioned-it is also highly legible. Overall: The Omega is a top high end Bible at a discount price. It is an ‘under the radar’ Bible, because Bible enthusiasts don’t expect such quality from a ‘middle of the road’ publisher such as Crossway. The background behind the design of this Bible was Crossway’s 75th anniversary. They wanted to design a Bible of distinction to commemorate the occasion. Therefore the Omega. Schuyler was a part of the initial planning stage. 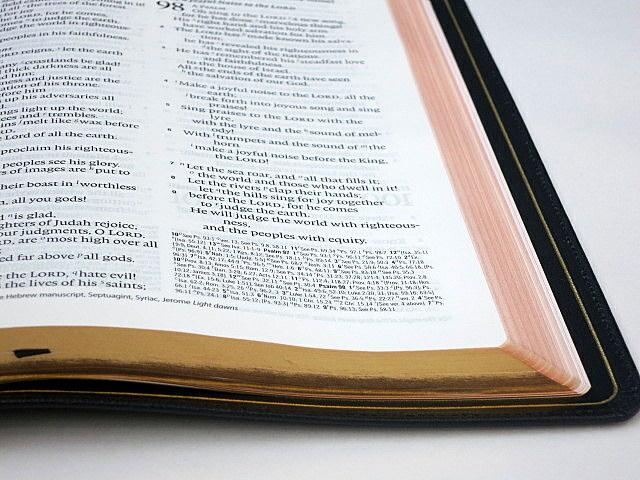 evangelicalbible.com has become the exclusive marketplace for this Bible.